R-412 Rewinder - Tharo Systems, Inc. R-412 Rewinder - Tharo Systems, Inc. Winds up to 12 inches per second. Winds a full 8 inch outside diameter label roll. 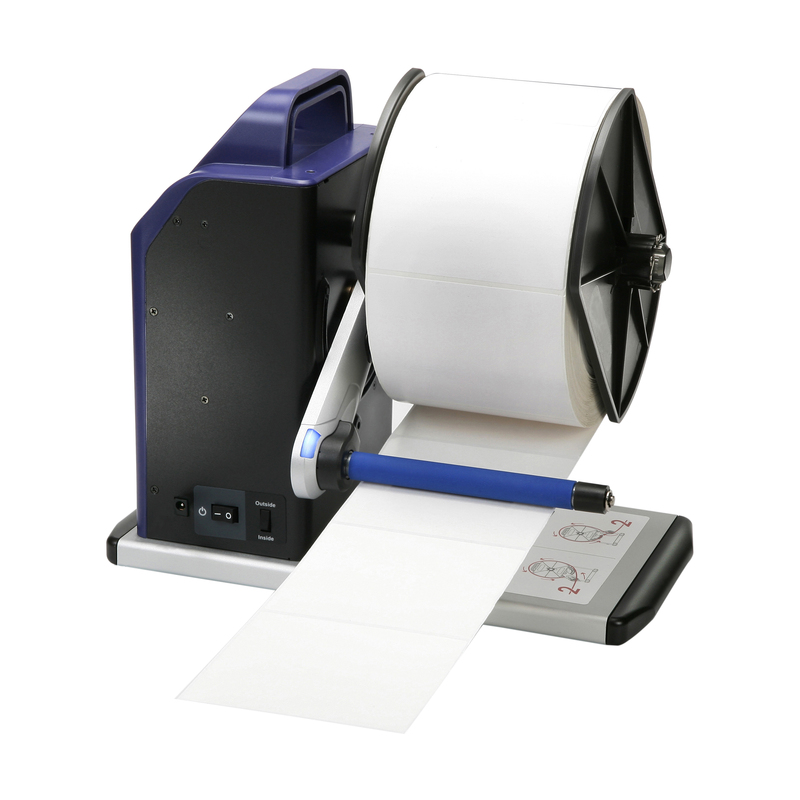 Can be used with most 4 inch wide web printers. Supports inside and outside rewinding. Stylish appearance plus a rugged design for long term reliability. Colored LED indicator provides rewinder operation status. Support three Core Size: 1″(25.2mm – 25.6), 1.5″ (40mm – 40.6mm) and 3″ (76mm – 76.6mm). Core and coreless kits are included. Power: 100 – 240 VAC, 24W, 24V Adapter.